On the construction part, Abu Dhabi Airports said the articulated flooring surface is being built from a series of interlocking triangles. As people walk across the patented system, electromagnetic generators produce off-grid energy. This electricity is being used to power local LED lighting and to provide a data feed. 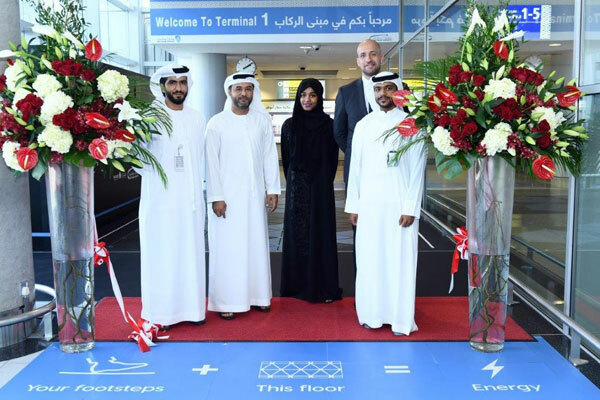 Commenting on the new project, Ahmed Al Shamisi, acting chief operations officer at Abu Dhabi Airports, said: “We’ve partnered with Masdar to install the Pavegen walkway, poised to power the data-driven, smart cities of tomorrow. Through this collaboration, Abu Dhabi Airports aims to further its commitment to sustainable practices, educating travellers and residents alike about different sources of off-grid energy and data." “Our environmental performance and green initiatives demonstrate Abu Dhabi Airports’ commitment to delivering innovative solutions for the international aviation community,” said Al Shamisi.